3. Economic – from ‘models for consumption’ to ‘models for production’ – business models are already changing as the original models based on consumption of infotainment and bandwidth are better suited for those with purchasing power, its a given that the next billion’s patterns of purchase will differ significantly from the first billion’s. 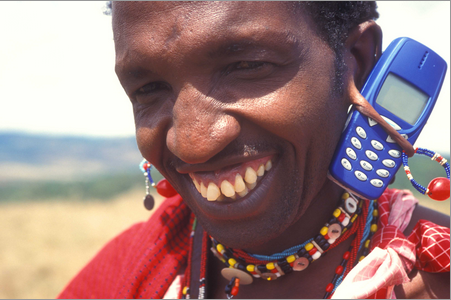 Marketing of data services is the next holy grail for Sub Saharan Africa’s telcom providers. As undersea cables increase bandwidth and lower the cost of access, there’s a huge opportunity for laying down the foundation of a mobile web, particularly for the African market. What distinguishes this market distinctly is that its primarily prepaid or pay as you go transaction models, that is, anywhere from 90% to 96% of the mobile subscriber base is not on a contract of any kind. Google has reportedly launched a service in the Philippines that lets people there access certain websites on their phones without having to pay their operator for mobile data. The service, named Free Zone, provides free access to any site that the user visits via Google Search, as well as various services from the company such as Gmail, Google+ and, of course, Search. The Philippines is only the first of several territories in which Google intends to launch the service. According to Reuters, the service was launched in conjunction with local operator Globe Telecom, and targets those who have ‘featurephones’ rather than smartphones. Featurephones usually have cut-down browsers these days, although their functionality is more geared towards basic voice and text. “It’s aimed at the next billion users of the internet, many of whom will be in emerging markets and encounter the internet first on a mobile phone, without ever owning a PC,” Google product manager AbdelKarim Mardini was quoted as saying. Their experience will show whether cost of access alone is the only hurdle to be crossed. Not only will things change from country to country, since telco’s all have their own business models such as in the Phillippines where your credit for text and voice expires in 24 hours at the lowest price points. Its a known fact that the vast majority of the n00bs online are arriving via their very first ICT device, a mobile phone but there’s a paucity of relevant content, hence the popularity of social networks. User generated content that’s relevant is provided by their choices on Twitter or friends and family on Facebook. Its simply another way to communicate and share information and conduct commerce. Similarly, while donor funded programs attempt a variety of ICT4D initiatives that remain stuck at pilot stage unable to scale, unknown startups can and do become popular in unexpected locations. This is not to say there has not been progress in the past 5 years towards a mobile web for the BoP, or rather, for prepaid customers who might be rural – the vast majority of the new mobile phone users in this same period. Growth has come from somewhere, as Airtel will inform you. But given the rapid pace of device and service adoption at the basic level of voice and sms in these 5 years, the concurrent development of a platform for exchange of value – information, goods, commodities, services, barter, trade et al – similar to but not the same as our existing internet usage – has yet to materialize. If it did, it could be one way to bridge the gap between the formal and the informal, just the way the mobile phone business models themselves are, under the aegis of the operators. To begin, it is critical to understand why traditional market sizing methodologies are ill-equipped to size emerging markets. 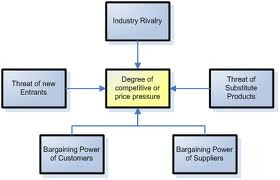 To illustrate, if a firm were to use traditional methods to size a mature market such as the coffee market in the United States, it would consider demographic trends (e.g., aging baby boomers), psychographic trends (e.g., increased health consciousness), past sales trends and consumption rates, price movements, competitor brand shares and new product development, and channels/retailers among others. However, conducting such an analysis for emerging markets presents a challenge as several of these factors (e.g., past sales, demographics of the customer when there are no current customers) don’t exist because the markets are presently untapped. The situation is exacerbated by lack of easily available demographic data, few formal retail channels, little consumer knowledge, and if the majority of the target audience happens to be outside the urban population centers, even lack of basic infrastructure like roads. One must begin from scratch. Can any rules of thumb be developed as we increase our understanding of the next few billion customers?